Games, interesting webs, social networks or video streams are some of the most common distractions that we come across while working and that are so difficult to avoid. 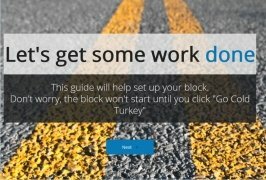 Being able to block them would increase our productivity, as we would be able to concentrate better, and that's precisely what Cold Turkey proposes. 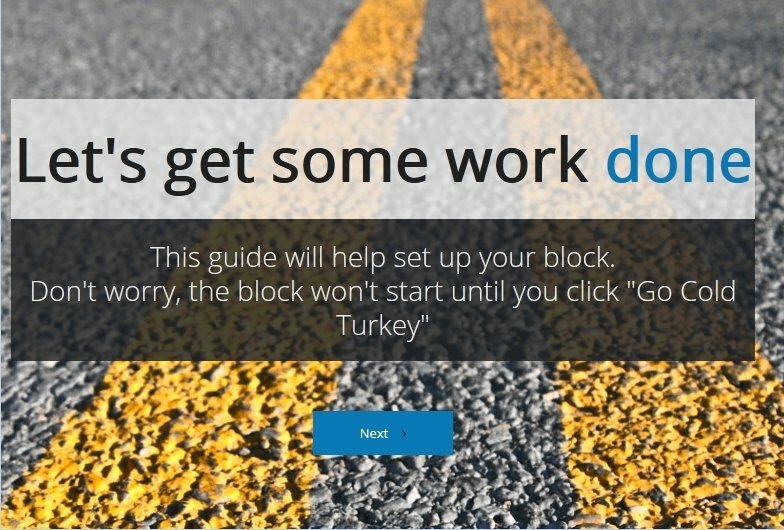 Cold Turkey can temporarily block any of these applications so you can work at full throttle. To do so, it uses a sort of weekly schedule on which you can indicate on what days and at what times should the program block your access to the websites and applications of your choice. This operation will be carried out very efficiently from a browser window, as the program has been designed to avoid all sorts of tricks that you may try out to cancel its activity. Cold Turkey will improve your concentration capacity. 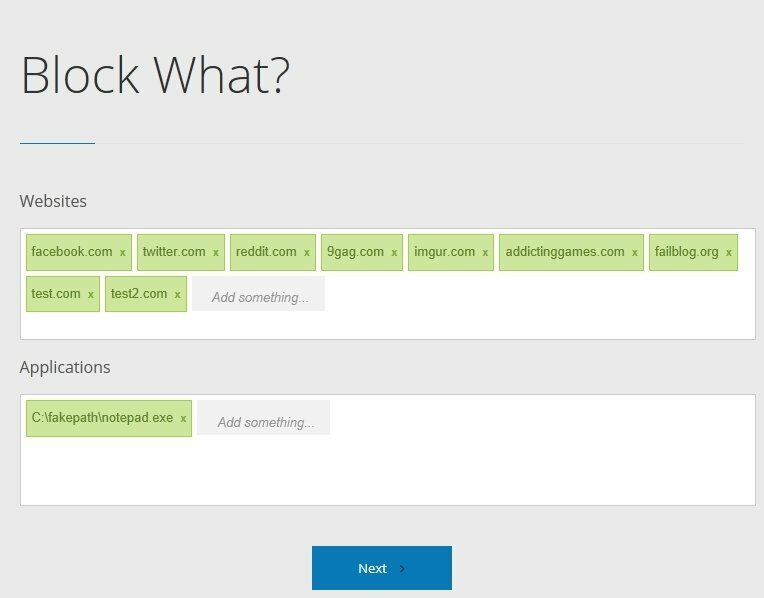 Blocks applications on your computer and Internet sites provided on a blacklist or that you add. Performs on all the computer's users and browsers. 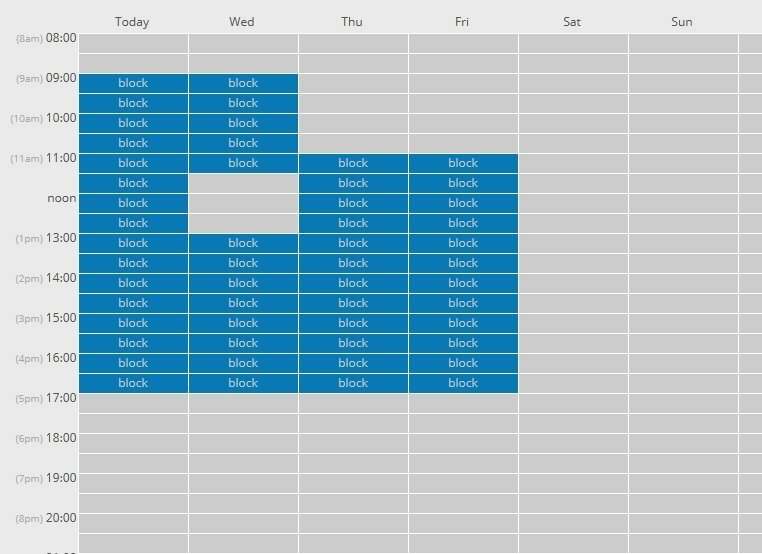 You can establish blocks that can last between half an hour and an entire week. The program cannot be stopped easily, not even from the Task Manager. 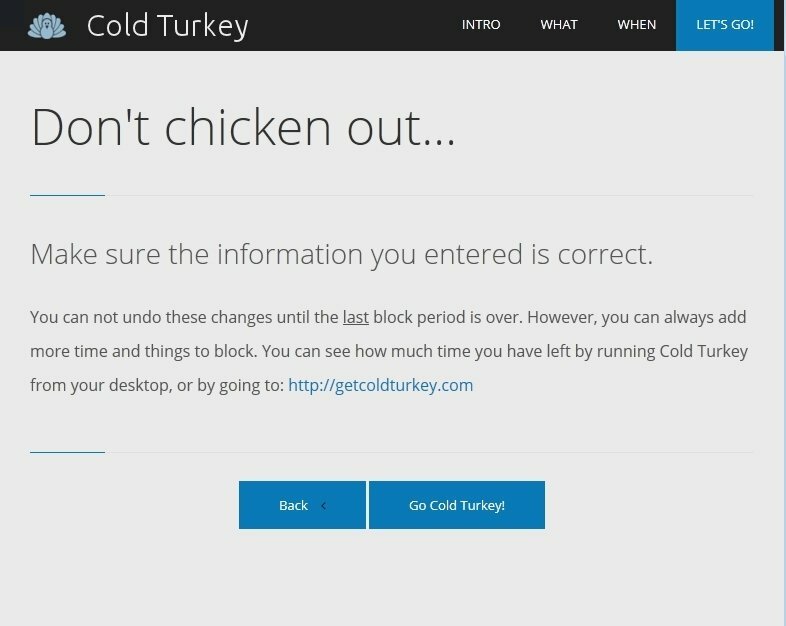 You have to be very careful when it comes to configuring Cold Turkey, because if you make a mistake blocking webs and applications, you're not going to be able to access them until the blocking period is over. This is the best anti-distraction protection that will help you to be much more efficient.